Northern Pines Greenery Inc in Minocqua, WI is proud to be an authorized Hustler dealer. Just like our dealership, Hustler holds their products to the highest standards, so you know you are purchasing the toughest, most dependable, highest-performing products on the market. 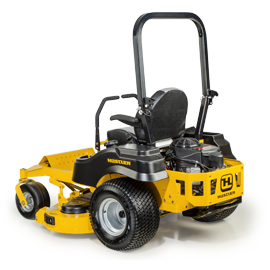 We are a proud dealer for the Hustler Turf Equipment residential line of zero-turn mowers. 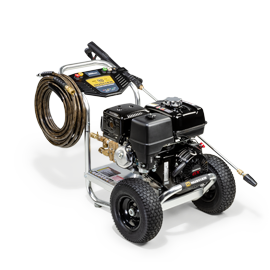 Hustler mowers offer high performance at the best value. Our residential line includes: Dash™, Raptor®, Raptor® Limited, Raptor® SD, Raptor® SDX, Raptor® Flip-Up and FasTrak®. We offer true commercial-grade zero-turn mowers that have it all and can do it all. Our Hustler commercial line includes: FasTrak® SDX, X-ONE®, Super Z®, Super Z® HyperDrive, Hustler® Z Diesel, Super S™, TrimStar® and Super 104. When you buy a Hustler®, you’re buying a premium experience. As a local dealer and authorized parts and service center, we can help you keep your vehicle in peak performance condition. Stop by or give us a call today regarding your Hustler product.